Download it. Print it. Work it. With each province and territory developing and enforcing their own unique versions of the WHMIS 2015 standard, employers across Canada need to be aware of their applicable requirements, including your SDS update and verification obligations. 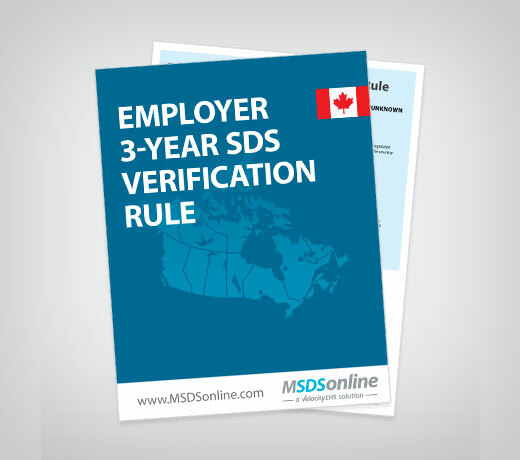 Download this helpful map to quickly and easily identify the SDS verification requirements in your province or territory to make sure you're in compliance with WHMIS 2015. Do you know your SDS verification requirements under WHMIS 2015?